Stephen Jones and the Dallas Cowboys aren't looking to be big spenders this offseason in free agency. We'll have to see if that remains the case though. Regardless, I thought it would be fun if we take a look at the 2019 free agent class and create a wish list of players the Cowboys could be interested in. Since this is a wish list I disregarded what it would take for the Cowboys to bring any of these free agents aboard. That after all would take all the fun out of this anyway. This would be much more like how things were handled under Jerry Jones before the salary cap. Can you imagine how exciting this offseason would be if that were still the case? As we know, the Dallas Cowboys aggressively tried to work out a trade with the Seattle Seahawks for Free Safety Earl Thomas last season to no avail. 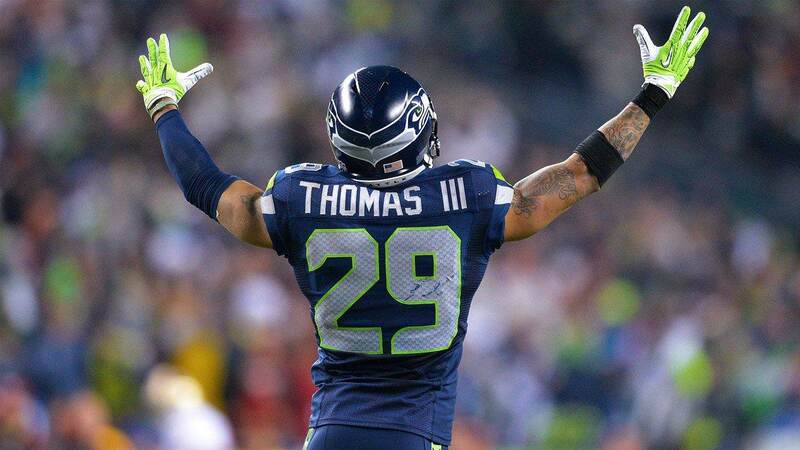 With the Seahawks now out of the picture because Thomas is a free agent, the Cowboys can sign him to a contract this offseason without having to surrender a draft pick. Timing is everything. Thomas is the most likely free agent on this list to land in Dallas in 2019. It's kind of difficult to imagine the Cowboys won't do everything within their power to bring him aboard, especially after pursuing him so aggressively last year. A reunion with Kris Richard could be exactly what he and the Dallas Cowboys need to return to the Super Bowl. As much as I'd love to see Earl Thomas in a Dallas Cowboys uniform in 2019, I'd much rather have free agent Defensive Tackle Grady Jarrett. This guy might just be the second best DT in the NFL behind Aaron Donald and his ability to impact games as a pass rusher would make the Cowboys defense immensely better. Jarrett is the perfect under tackle or 3-technique in the Cowboys 4-3 defensive scheme. He has improved every season since entering the league in 2015 and has a total of 14 quarterback sacks in his career, six of which he accumulated this past season. With a defensive line void of much talent, he would immediately upgrade Dallas' front seven and give them a disruptive pass rushing presence in the middle. Frank Clark is the defensive end I wanted the Dallas Cowboys to draft with their second round pick in 2015 instead of Randy Gregory, even though he had his off the field problems as well. He has without a doubt had the better career of the two and would create a dynamic duo playing opposite DeMarcus Lawrence. He's accumulated 35 quarterback sacks in his career, 13 of which came in 2018. Randy Gregory did flash how talented he could be in the second half of the 2018 season, but Clark has proven to be the more consistent DE since entering the league. He is equally effective against the run as he is getting after the QB and his addition would give the Cowboys defense the best pass rushers in the entire league. With him and Lawrence coming off the edges, opposing QBs would have to run for their lives. There's no question the Dallas Cowboys are looking to upgrade their tight end position in the offseason, so why not address the glaring need with the top free agent TE? Although he's 31 years old, Jared Cook would immediately step in as the TE1 in Dallas and become a major asset in the passing game for Dak Prescott. Jared Cook couldn't have asked for a better time to be hitting the open market. He is coming off a career year in which he caught 68 passes for 896 yards and six touchdowns, his best season yet in the NFL. He's at his best when he's used as a receiver in the passing game, but he's no slouch as a blocker. He would be an upgrade in Dallas, even though Blake Jarwin showed some promise towards the end of the season. The Dallas Cowboys tried to make their offense a little more explosive last season by adding Tavon Austin, but unfortunately that didn't pan out. But just because that didn't work shouldn't keep them from trying again, which is why free agent Robby Anderson would be pretty high on their wish list this offseason. Anderson is however a restricted free agent, but this is a wish list after all so I'm not factoring that in. Anderson of course isn't without his warts as a player. He has some off the field issues that he needs to clean up, but there's no denying his ability in the passing game. He would give the Cowboys offense that deep threat they've been missing for about a decade now, which would make the passing game all that more potent. The thought of Michael Gallup and Anderson on the outside, with Amari Cooper in the slot would probably give Dak Prescott wet dreams. Despite being a little banged up in 2018, Dallas Cowboys Running Back Ezekiel Elliott still managed to lead the NFL in rushing yards, earning the rushing title for the second time in three years. He is arguably the best RB in the entire league, but it's time to upgrade the backup position behind him in order to keep him as healthy as possible. That's why Mark Ingram should be on the Cowboys free agent wish list. Ingram would help form a formidable one-two punch with Zeke, more than likely turning the Cowboys offense into the best rushing team in the entire league. That would really play into their blueprint of controlling the time possession with the rushing attack, all the while keeping their defense as fresh as possible to dominate. How exciting would it be to see Zeke and Ingram punishing opposing defenses down after down? Which free agents do you think would be on the Dallas Cowboys wish list? Which Dallas Cowboys Free Agents Will Be Back in 2019? There hasn't been a repeat champion of the NFC East since the early 2000's when the Philadelphia Eagles won three in a row from 2002-2004. Unfortunately, history is already against the Dallas Cowboys repeating as division champions again in 2019. For the Cowboys to repeat as NFC East champs, they'll have to navigate a tough slate of opponents. That's the reward of winning your division. Though much can change in the next five months as the NFL prepares to play football games that matter in September, there are already key matchups for this young Dallas Cowboys team. We know the NFC East is always a difficult division to play in. The rivalries make for a lot of close games. The Cowboys have to play well in the division to have a shot at winning the division. But with the schedule they have, they'll have to win some contests that they probably shouldn't to stake their claim as Super Bowl contenders. 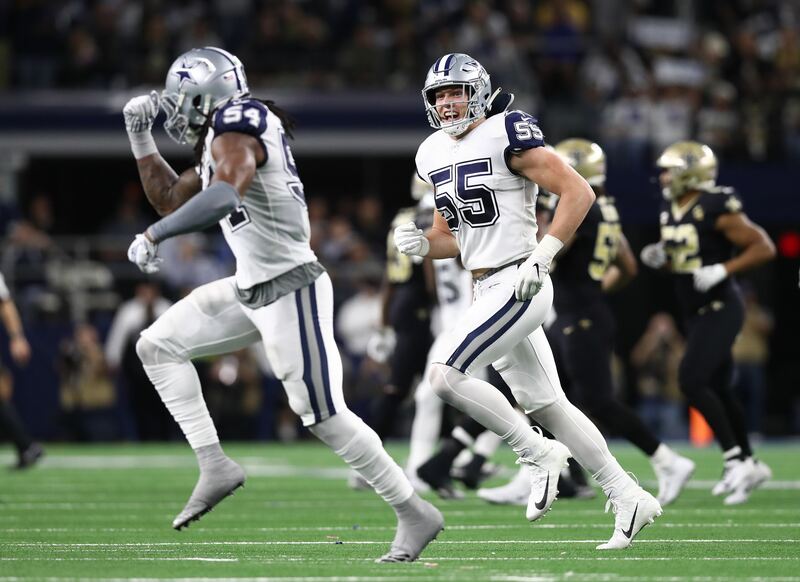 Divisional games are always important, but let's take a look at the three games outside the division that will have the greatest impact on the fortunes of the Dallas Cowboys 2019 season. The Cowboys have an opportunity to get off to a hot start in the first quarter of the season with games at home against the New York Giants and Miami Dolphins, and a road game against the Washington Redskins. There's a legitimate chance for them to start the season 3-0. Whatever momentum they do gain in the first three games of the season could all come to a screeching halt with a tough week four matchup in New Orleans. New Orleans has been a tough place to play in the Sean Payton and Drew Brees eras. The Dallas Cowboys defense will have a tough test attempting to slow down the high scoring Saints offense two years in a row. When the two teams met in 2018, the Dallas Cowboys defense completely dominated the Saints. On that day, they held the Saints to 176 total yards (111 passing and 65 rushing) and an amazing 3 for 11 on third downs. It was especially impressive because the Cowboys only had two sacks and one turnover in the game. The Saints just couldn't find a rhythm as the Cowboys came with a lot of energy and physicality. It was a defining moment for this young defense and gave us a picture of what they could possibly be. If the Dallas Cowboys can find a way to win this game and potentially start the season 4-0, it would be huge for their playoff hopes. On the flip side, if the Dallas Cowboys start the season 2-1, they could be going into New Orleans with the possibility of starting the season 2-2. The pressure would be incredible for the Cowboys the rest of the way with the slate of teams they have at the end of the season. The Cowboys have to leave the first quarter of the season at worst 3-1 to have a shot at the playoffs in 2019. The toughest part of the Dallas Cowboys schedule always comes around the Thanksgiving day game, and this season is no different. Starting with their week 12 game at the New England Patriots, the Cowboys will play three games in 12 days culminating with their week 14 game against the Chicago Bears. The Bears, coming off an NFC North title in 2018, are similar to the Dallas Cowboys. They boast an incredible defense with one of the best pass rushers in the NFL and a young an improving offense. Playing in Chicago is always a tough task, but doing so in December is a tall order. Doing so after going to New England, then playing at home, then going back on the road seems like an impossible task. It's a game that will likely be a grind-it-out affair, as both teams want to run the ball and play defense. Depending on what happens in the previous two games, this could be a must-win to start the final quarter of the season. The rematch of the NFC Divisional round matchup is just another in a long line of important conference matchups for the Dallas Cowboys. It will be a very important game for the Cowboys because it will be a home game after their three games in 12 days stretch. They'll have to go to Foxboro and Chicago in a span of 12 days, which makes for tough travel. Facing a Los Angeles Rams team that absolutely dominated the Dallas Cowboys defense is an opportunity for redemption, but will have huge implications on the playoff standings for the NFC. The Cowboys and Rams could both be leading their divisions at this point in the season, which would make this game important for seeding. Or, they could be fighting for a wild card berth. Either way, a conference game this late in the season has huge consequences in the way the tie breakers shake out. This one will carry an emotional importance as well. The way the 2018 season ended for this club, especially on the defensive side of the ball, left a lot of players -- and fans -- with a bad taste in their mouths. It completely changed the way a lot of people view a defense that finished in the top 10 in most major defensive categories. The loss to the Rams was one of the worst defensive performances of the season and it came at the worst time of the season. Not only was the defense bad, but the running game was terrible that day too. Ezekiel Elliott only managed 47 yards on 20 carries for one of the worst rushing performances of his career. It took a really good second half from Dak Prescott and the passing game to get the Cowboys within one score with a shot to get the ball back at the end of the game. 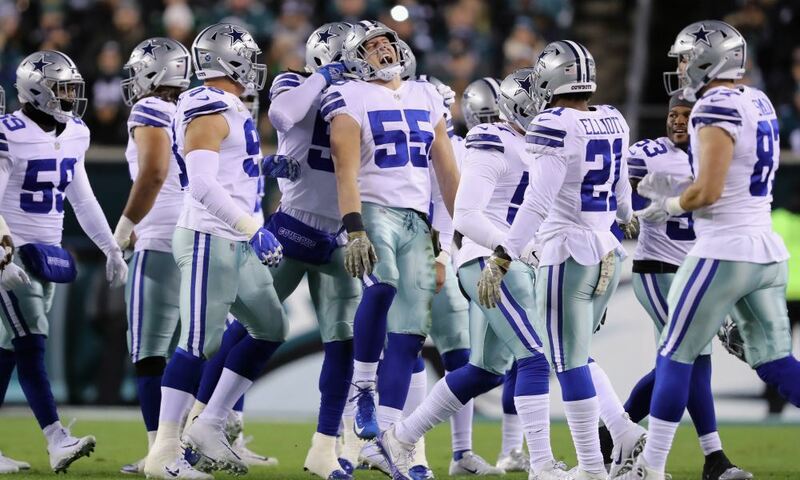 If the Cowboys can get revenge for that playoff loss, it would do a lot for the morale of this team heading into the final two weeks of the season. These conference games will have huge implications for the Cowboys and their playoff hopes. Though the NFC East will have a bigger impact on their ability to win the division, how they fare in these three games will give us a better understanding of the legitimacy of their contender status. Each of these games is against the team that won the division the previous season. If they can go 2-1 against this quality of competition, then we'll know this is a team to be reckoned with heading into January. The full NFL 2019 regular season schedule was released last night. Here is my reaction to the Dallas Cowboys' schedule and analysis of how what I think it means for them next season. Of course, a schedule can have a very different feel come September-December than it does in April. The teams don't change, but their circumstances can be wildly altered by the time they actually have to take the field. Just ask the Cowboys' opponents from the 2015 season. Nobody was looking forward to playing that Dallas team coming off its 12-4 playoff run the year before. But all it took was a Tony Romo injury in the preseason to suddenly make the Cowboys a cupcake. But for now, we can only react to what we know. Before we dive in, here's a quick reminder of the complete 2019 regular season schedule for the Dallas Cowboys. We already knew this wasn't going to be an easy slate. The Cowboys won the NFC East last year, meaning they were guaranteed to play against four division winners this season; Bears, Patriots, Rams, and Saints. They also get the regular two games against the Eagles, who were a Wild Card team last year. Let's just talk about those six games for a minute. New England is still New England; Tom Brady and Bill Belichick will ensure that it's one of the toughest games of the year, and especially on the road. The Patriots have won 12-straight home games going back to 2017. The Bears and Rams are both rising teams that shouldn't suffer any drop off next year. Chicago QB Mitch Trubisky is entering his third year and LA's Jared Goff will be in his fourth season, but only third in Sean McVay's offense. Both have starting QBs with rookie contacts, which means having the resources to load up on talent elsewhere on the roster. Much like the Patriots, the Saints still have their franchise QB and coach and should remain a top team. They will also be out for blood after the Cowboys humiliated them last season, as will their fans, and that could make for a very tough road game in New Orleans. Then, of course, there are the Eagles. The NFC East appears to be a two-horse race in 2019. The Giants are arguably the worst team in the NFL right now and the Redskins are dealing with major QB problems. It should be Dallas and Philadelphia once again battling for the top spot. 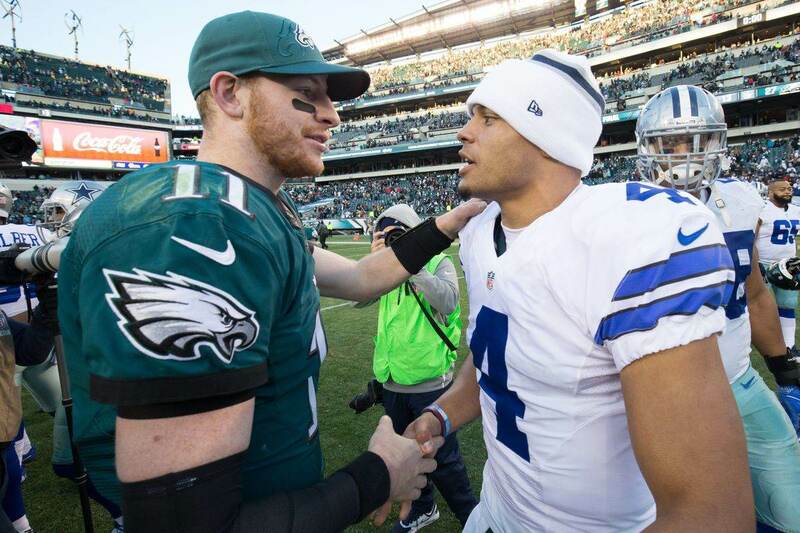 The Cowboys and Eagles should both get some cushy wins against their fellow division opponents. It could come down to their games against each other, and so far Dallas has dominated Philly when Carson Wentz is playing QB. With Nick Foles gone, how will that impact the Eagles going forward? As for the rest of the schedule, the only other game that seems easy on paper is against the Miami Dolphins. Teams like the Bills, Jets, and Lions could go either way. The Packers and Vikings should both be tough opponents. The teams aside, the general layout of the schedule isn't bad. The Week 8 bye is nice for a break right in the middle of the season. Dallas only has to play back-to-back road games one time, Weeks 11 and 12 against the Lions and Patriots. The first three games against the Giants, Redskins, and Dolphins give Dallas a great opportunity to start the year right and build momentum. They will definitely need to go into December with some cushion, because that stretch against the Bears, Rams, and Eagles could be very difficult. Overall it's a solid schedule. It's got some tough spots because of the Cowboys' performance last year, but that means they were a good team then and they stand to be even better now. There's nothing here that prevents Dallas from building on the success of 2018 and making then an ever better season. Although we're still months away from the 2019 NFL season, we finally know how the Dallas Cowboys' games will line up this year. The entire league schedule was just released. I know just how much you want to know who the Cowboys will be playing each week so don't let me keep you. Here's the full 2019 Dallas Cowboys schedule and a few notes at the end. Enjoy! It feels like the Cowboys play the Giants on week 1 just about every year. In 2018 it was the Carolina Panthers, but now we're back to watching this divisional matchup early on. I love that the Cowboys and Saints will matchup against each other on primetime on week 3. Last season's Thursday Night game between the two was one of the best games of the season. Having a bye week right in the middle of the season is pretty ideal, and the Cowboys have been lucky in this regard lately. This time they'll rest on the eight week of the season. Overall, this seems like a tougher calendar than last year's. This only makes sense given that the Cowboys are the current NFC East champions and are bound to face tougher opponents. A particularly tough stretch might take place from week 12 to week 17. The Patriots, Bears and Rams will be on the list as well as two divisional rivals in the Eagles and Redskins. Tell me what you think about "BREAKING: Dallas Cowboys 2019 Regular Season Schedule Announced" in the comments below, or tweet me @MauNFL and let’s talk football! If you like football and are looking for a Dallas Cowboys show in Spanish, don’t miss my weekly Facebook Live! show, Primero Cowboys! Could Cowboys RB Darius Jackson Finally Emerge in 2019?